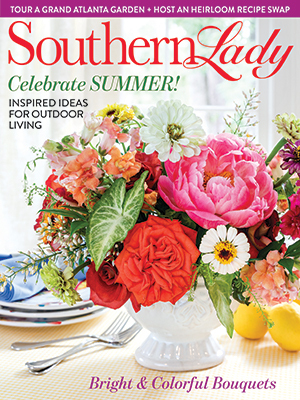 Founded in 1999, Southern Lady Magazine is a bimonthly publication that celebrates, delights, and inspires women who live in the South—and those who are simply Southern at heart. We focus on the joys of heart and home and the art of gracious living. We strive to bring a bit of Southern hospitality into the lives of each and every reader. While we Southern women move forward in today’s world, we also hold tightly to the culture of the South. We remember our roots, treasure our traditions, and cherish our families.